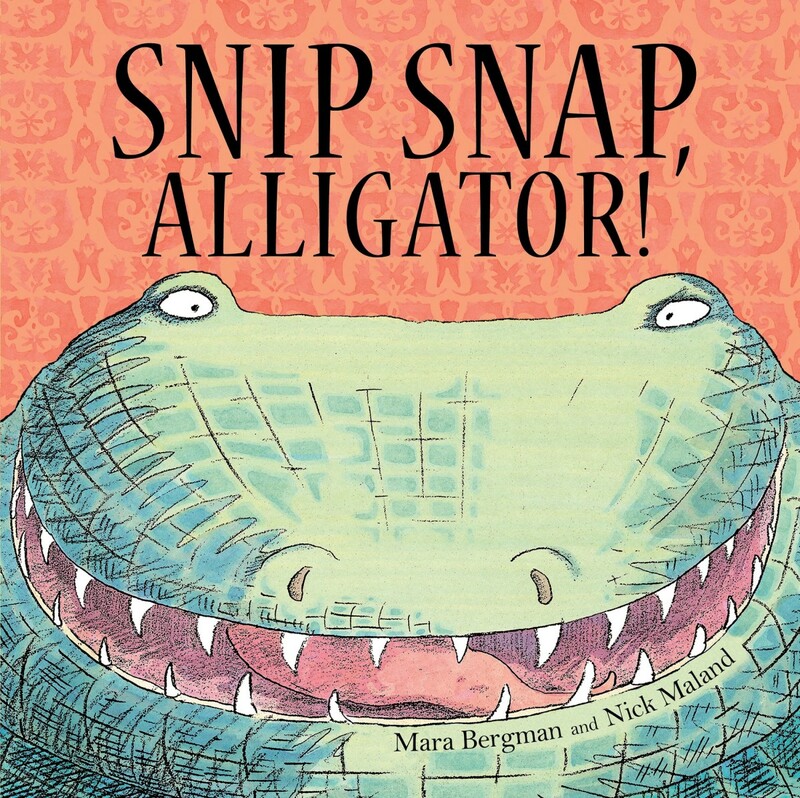 Nick Maland - Snip Snap, Alligator! 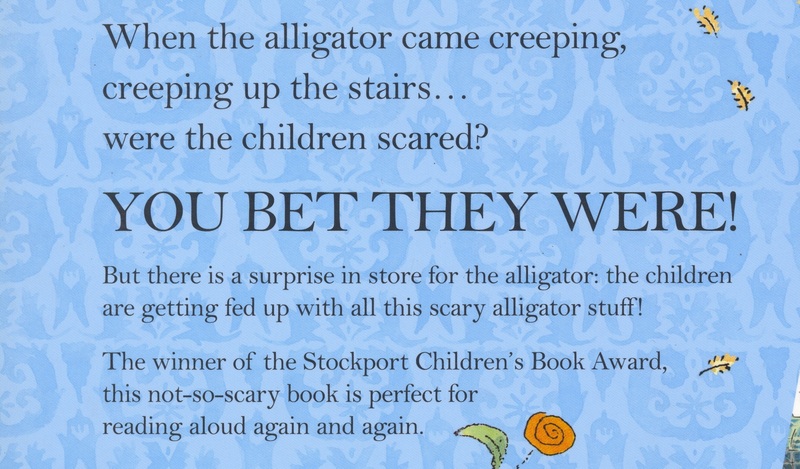 When the alligator came creeping, creeping up the stairs, were the children scared? You bet they were! 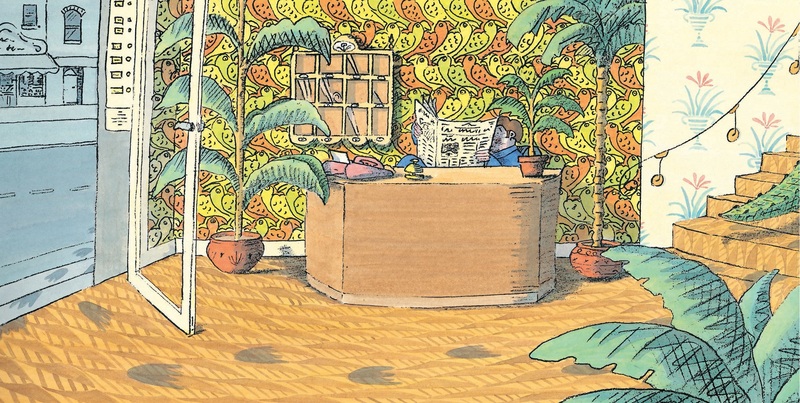 Reminiscent of We're Going on a Bear Hunt, this text is an absolute delight to read aloud, enabling a child audience to really join in. 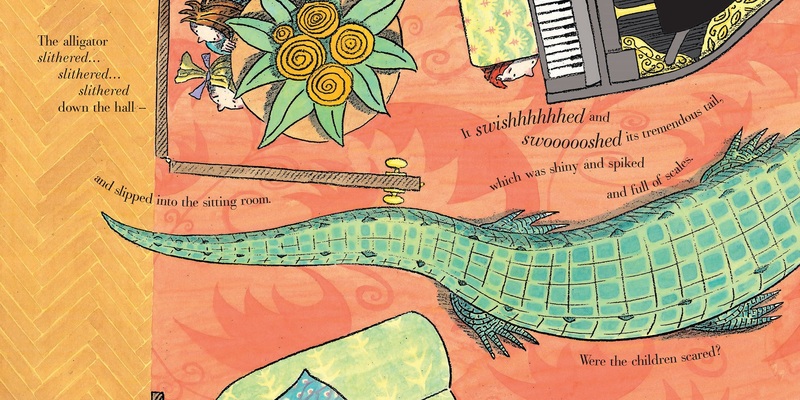 An alligator is creeping up the stairs, slithering down the hall and swishing and swooshing its tremendous tail and the children are very scared. 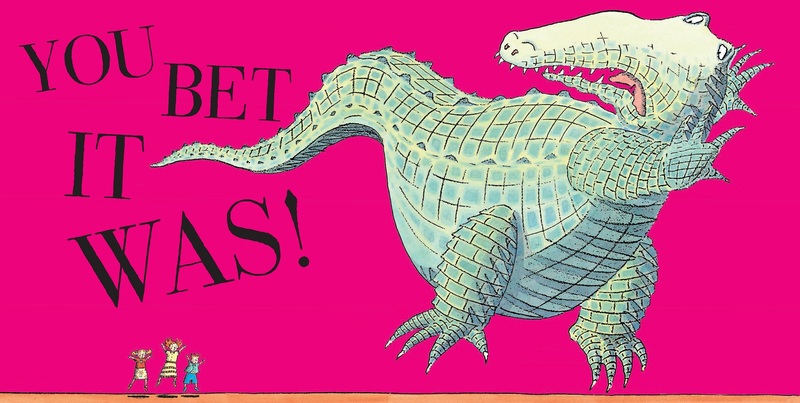 Until they decide they've had enough of all this scary alligator stuff! And they banish him back from where he came. 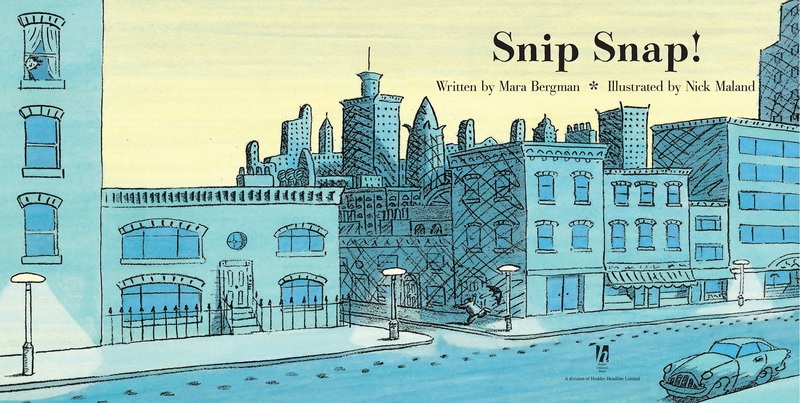 Beautifully designed and illustrated this book is a real treat!